The present downloadable teaching material is intended for high school students at Pre-intermediate (A2) level. 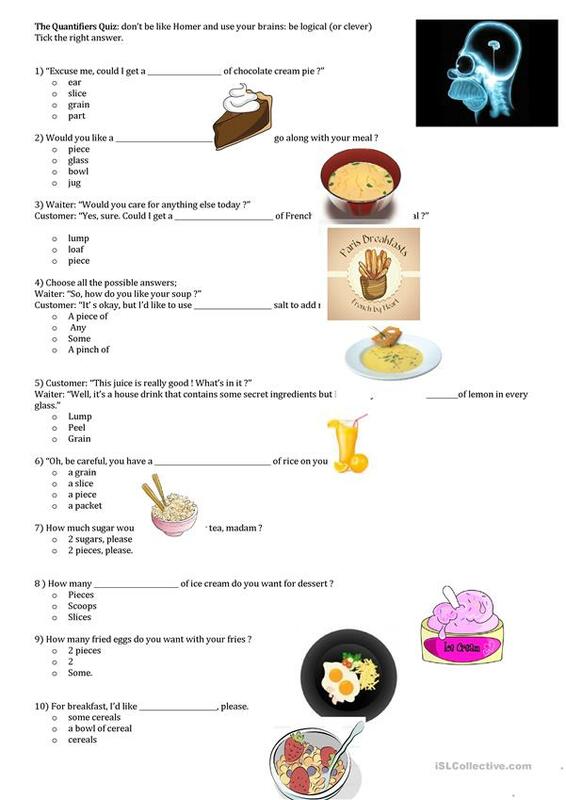 It is valuable for revising Quantifiers (e.g. some, many, much, any, few, little) in English, and was designed for honing your class' Writing skills. 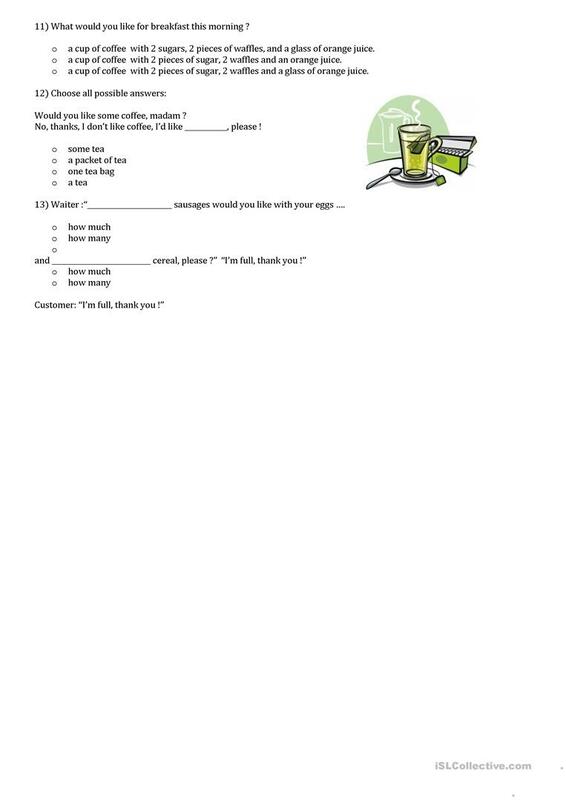 It centers around the vocabulary topic of Going to a restaurant.